There has been a lot of action at Lorne Park Dental recently as we update our treatment rooms. We are happy to report that three of the five rooms are done and the results are fantastic! Here's a peak at some photos of the most recent room renovation. Demolition Time - Thanks so much to our amazing contractor, Gabor! Wow, what a difference a few days make...Such a beautiful result! The transformation includes new equipment, new cabinetry, a ceiling mounted television, digital radiography and an intra-oral camera. We love our choice of art and decorative touches too. A modern and comfortable treatment room...Dental Hygienist, Lori and our patients are loving it! 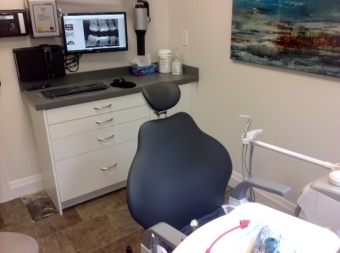 Hope to see you soon so we can share our Lorne Park Dental makeover progress with you in person!